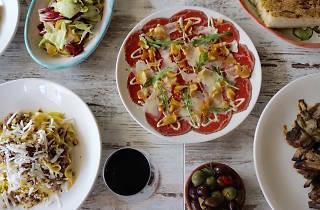 Michael Rispoli’s simple Italian restaurant and wine bar has become a main player in the dining world of Sydney’s western suburbs. Capriccio stays true to its osteria roots, serving simple Italian dishes and a selection of wines. No fuss, just quality food paired with a glass of the good stuff. Diners can sit inside and enjoy the spacious design or in the courtyard, which looks as if its been stolen from a Tuscan postcard. 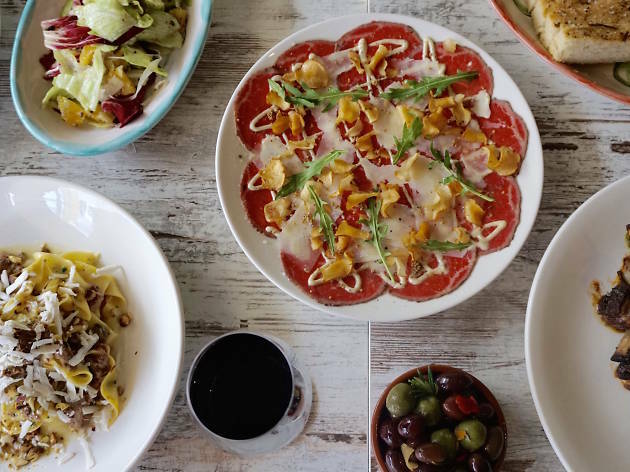 The tempting menu features small antipasti and woodfire dishes, both designed to be shared, as well as a selection of housemade fresh pastas. And of course there’s the dessert menu with all your favourite Italian treats. Capriccio’s wine list champions the under-appreciated vintages of Italy. Ask the wait staff what grape would pair best with your meal and you’re well on your way to discovering a new favourite drop. A space is available for private functions, accommodating groups as little as 10 to as large as 70. Function areas can be booked separately or together and are perfect for any kind of party, from Christmas dos to wedding anniversaries. Be sure to check the website for upcoming events as well as weekly specials.